The Rt. Rev. Brian N. Prior; the Rev. Cn. Robert Two Bulls, Vicar of All Saints; Guy Fairbanks, Junior Warden; Jason Spears, parishioner; and Grant Two Bulls at the First Nations Kitchen Celebration. This Sunday afternoon, we gathered to celebrate the 5th anniversary of First Nation’s Kitchen. It was a wonderful celebration of worship, food and fellowship. Creator, we give you thanks for all you are and all you bring to us for our visit within your creation. In Jesus, you place the Gospel in the center of this sacred circle through which all creation is related. You show us the way to live a generous and compassionate life. Give us your strength to live together with respect and commitment as we grow in your Spirit, for you are God, now and forever. This prayer epitomizes for me the work of First Nation’s Kitchen. Week in and week out, folks gather to share their gifts in a sacred place with the Gospel at the center in a respectful, generous and compassionate way. First Nation’s Kitchen is the embodiment of engaging God’s mission. Discerned gifts are being used to meet the world’s needs, and through this: transformation is taking place. The Kingdom of God is coming near every Sunday afternoon at All Saints. First Nation’s Kitchen is unquestionably a missional innovation partnership: faith communities, community partners and others collaborating to engage God’s mission. It’s been an incredible five years for First Nation’s Kitchen, and if you have not yet been a part of this transformational experience — please consider yourself invited to do so. 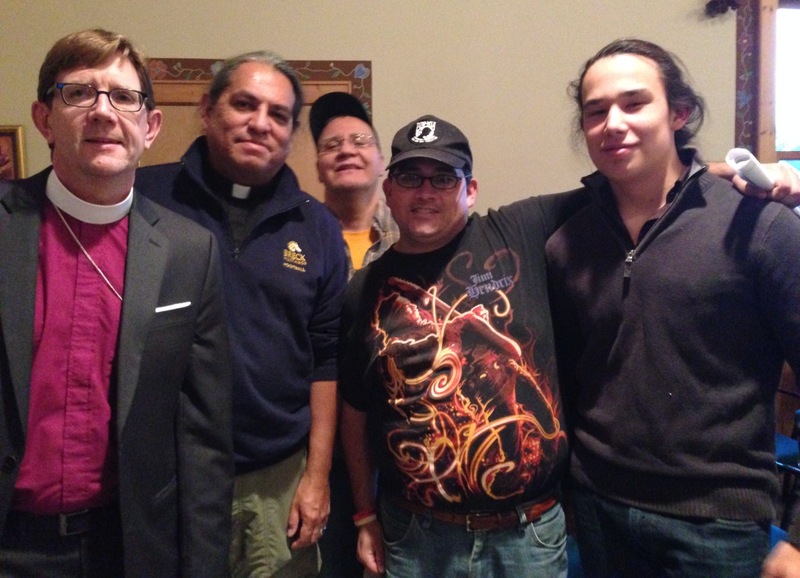 First Nations’ Kitchen is a ministry of All Saints’ Episcopal Indian Mission in Minneapolis. and has been serving healthy, organic, traditional indigenous food in a welcoming, family environment every Sunday evening since November 2, 2008. Learn more at firstnationskitchen.org.